Creating tomorrow’s solutions begins with an understanding of technology, today. We believe engineers continue to design the future of the world, from next-generation computers to industrial robots. That’s why we offer engineering courses at Swinburne Sarawak. Engineering courses take you on a journey through a field that creates solutions to today’s problems. We provide you with the comprehensive understanding and practical skills needed to design, build and maintain our built environment. You’ll also have the opportunity to learn how to create innovative and sustainable products. It’s just a matter of choosing the course that suits your future career. An engineering course could lead to a future within civil, construction, mechanical, network and telecommunication environments. 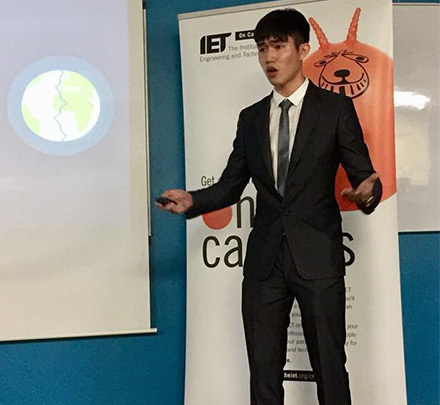 After successfully competing at the national finals of ‘Present Around The World’ (PATW), Swinburne Sarawak’s mechanical engineering student Christopher Tan Aik Wei will move on to compete in the Asia Pacific Regional Finals in Singapore. 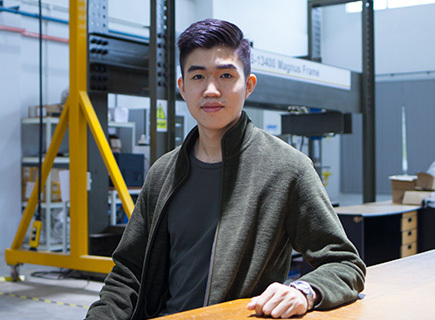 Despite having to leave my hometown in pursuit of a quality education, Swinburne was my first choice because of its affordable fees. And being located in Kuching, its laid-back lifestyle here means people are much 'happier"! Also, Kuching and its multiracial community is the perfect example of racial harmony.